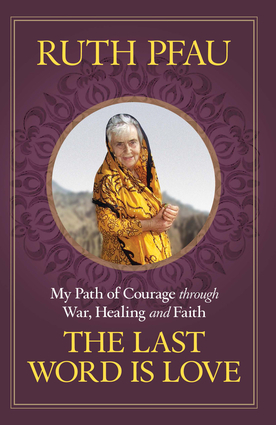 If life is an adventure, Ruth Pfau lived it. If love is possible, she proved it. Ruth started as an atheist student in post-war Germany and became a medical doctor and then part of the Order of the Daughters of the Heart of Mary. A visit to Karachi as a young sister started her on her way to dedicating her entire life to the people of Pakistan. Her life is a model of understanding how to live in a world of great diversity. This book is her last one. It is the testament of her life and a testament to the splendor of humanity. Ruth Pfau was born in Leipzig, Germany and after World War escaped to the West. She became a doctor, and joined a Catholic order who sent here to work with lepers in Pakistan where she still resides today.